Owner of Scandinavia Fine Furniture Inc. Graduated from UWM in '73 with a BFA and K-12 teaching cert. Taught briefly in the Pewaukee School Systen quitting for a design job with Scandinavian Design of Evanston Il. In '76, I opened a 2nd Milwaukee store for them in downtown. When they closed over 100 stores nationally I bought the downtown buildings and started Scandinavia Fine Furniture Inc. Enjoyed many buying trips to Denmark and the challenge of importing. Klaus retired after closing Hartters Bakeries, the cafe at Mayfair and all the other sites. Supplying hotels daily, dozens of wedding cakes weekly, endless festivals got to be too much. We enjoy nature and live on 12 acres in Waukesha. Go to Miramar Beach Fl. for a month or so and hike alot with the dog in Door County. Actually bought a condo in Sister Bay last month. A high school winter reminder is frost bit knees. Walking 2 miles to and from school and not allowed to wear pants. Mr. Ehn and his wonderful menagerie of critters. Learning to sign so as not to pass notes. Carol Kolda Hartter updated her profile. View. 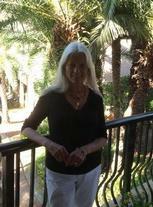 Carol Kolda Hartter changed her "Now" picture. Carol Kolda Hartter added a photo to her profile gallery. Carol Kolda Hartter has a birthday today. New comment added.